The best way to get ahead of the competition and the most out of your social media channels is to post regularly, which in truth is no secret. Regular, targeted posts will engage customers and keep them connected to brand long after they return home from their vacation. If your hotel has someone in-house running the social media channels it is important to make sure that they are posting on a regular basis. 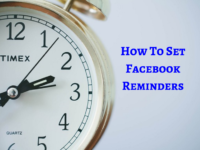 An easy way to ensure that this is always the case is to set reminders on Facebook. Here is how you can do just that. Click on the ‘Go To Reminders’ button to start setting up reminders. Even if you have not see this notification on your profile, you can still access them by clicking ‘Settings’ at the top right and then clicking ‘Reminders’ on the left menu. 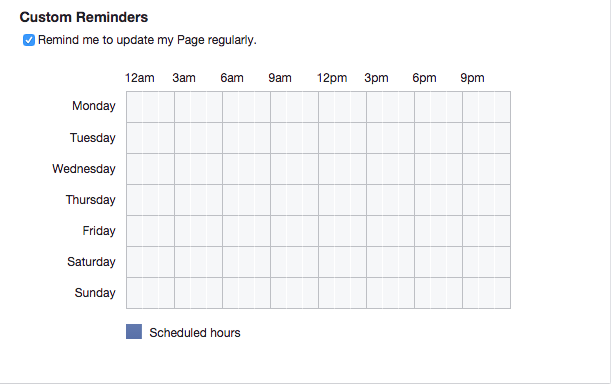 When you check the box for Custom Reminders, you can then set the days and times that you would like Facebook to send you a reminder. A second type of remind that you can set up is Holiday Reminders. Facebook will remind you about major local holidays, such as Christmas and Thanksgiving, so that you can make sure to include a post specifically for the holiday. Even if you do have a regular Content Calendar that you follow, it’s still a good idea to set up the holiday reminders to make sure that nothing is missed. If you find that you are too busy running the hotel to have time to regularly update your social channels, then perhaps it is time to outsource the task. Hire a company that has experience in hospitality marketing to ensure that your social media is in the best hands possible.